While more and more wood and pellet stoves are meeting the new emission standards, American wood boiler companies are still struggling to make boilers clean enough to be certified to 2020 standards. The wood heater industry appears to be waging legislative and legal battles that will benefit the outdoor wood boiler industry the most. For the wood stove manufacturing community, a sell-through for retailers appears to be the most important type of relief. 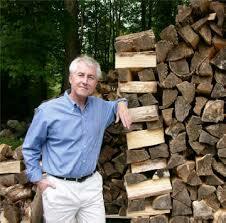 The Alliance for Green Heat supports no more than a one-year sell-through for wood heater retailers. Meanwhile, Senators are preparing an amendment or bill that would provide $75 million a year for 6 years for a national change-out program fund, a staggering amount of money that could spur sales of 2020 compliant stoves. The bill also contains a one-year sell-through provision for retailers. Industry is not supporting this amendment as of now, opting for a bill with 3 year delay of NSPS deadlines without any funding for change outs. One dilemma underlying the transition to stricter standards is that manufacturers are still recertifying virtually all of their stoves with cribwood, not cordwood. Thus, the opportunity to shift toward stricter emission standards with the fuel homeowners use—cordwood—was not achieved with the 2015 NSPS. Even if industry succeeds in getting a 3-year delay for the standards, it is not at all certain that manufacturers will opt to test to cordwood standards. Until one or more states or incentive programs require stoves to be certified with cordwood, there may be little incentive for manufacturers to test with a cordwood protocol. 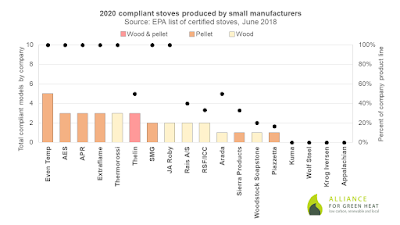 The latest list of EPA certified stoves reveals that about 13% of stove companies have fully 2020 compliant product lines. (This figure includes only stove manufacturers that produce at least two EPA certified models.) 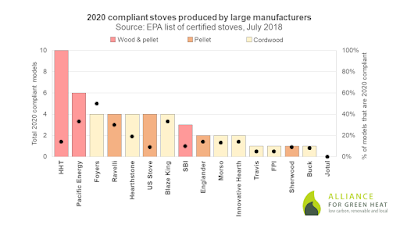 Most company product lines are between 5% and 30% 2020 compliant, but several popular companies, including Jotul, Kuma, and Napoleon (Wolf Steel), do not currently have any stoves listed on the EPA list that meet the Step 2 emissions standards. 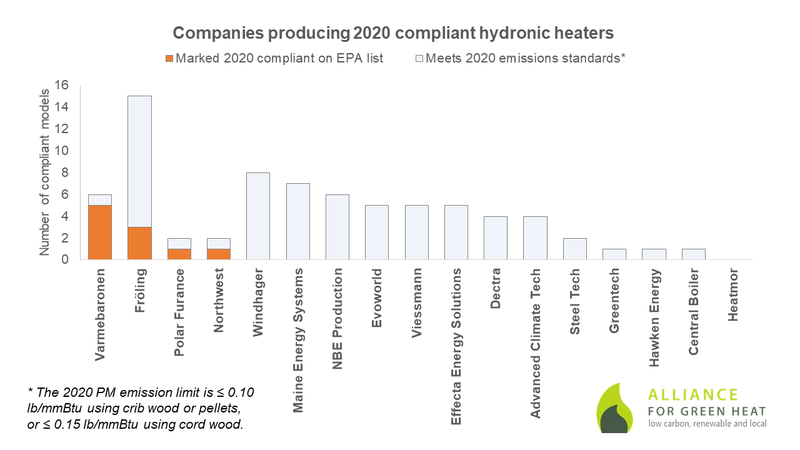 Wood heat retailers currently do not have a sell-through period to sell their existing stock once the Step 2 emission standards take effect in May 2020, but the EPA recently proposed changes to the NSPS that are likely to give retailers a sell-through period. How to read this chart (click to enlarge): This chart shows the number of 2020 compliant wood and pellet stove models produced by large manufacturers (manufacturers that produce at least eleven EPA certified models) as bars on the primary (left) y-axis and the percentage of models the manufacturers produce that are 2020 compliant as a point on the secondary (right) y-axis. The wood and pellet boiler and furnace industries appear to be exhibiting similar patterns. 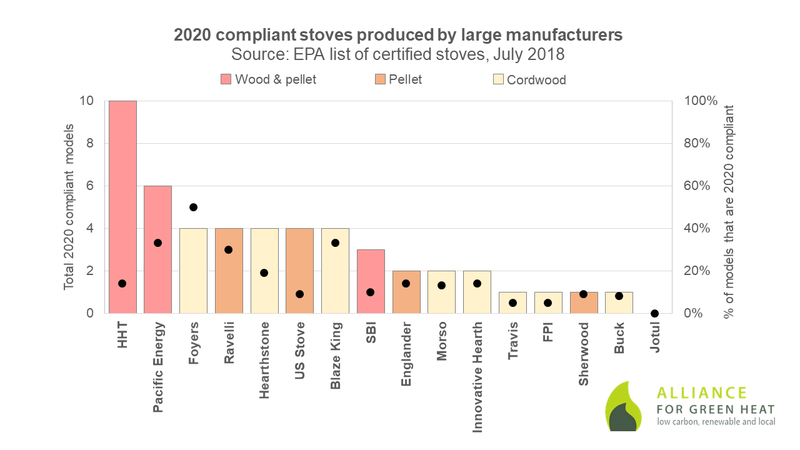 Only ten (9%) boiler models (eight cordwood and two pellet) and one forced-air furnace, a cordwood model by Lamppa, are certified as 2020 compliant, according to the EPA lists which were last updated in June. 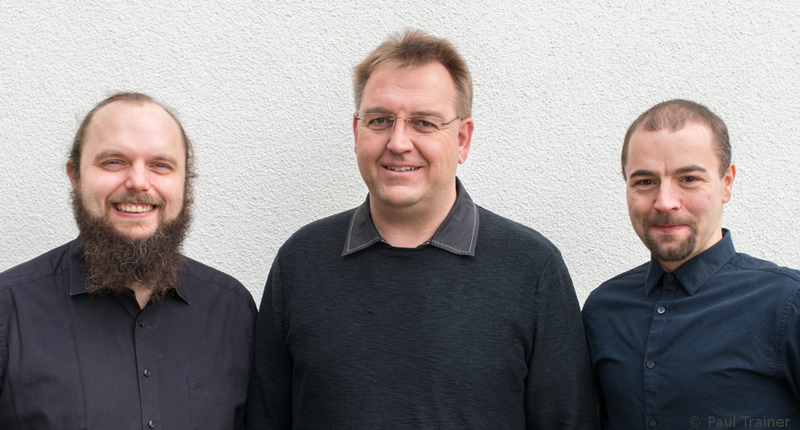 Some boiler and furnace manufacturers are planning to stop manufacturing boilers or leading an aggressive campaign not only to delay the 2020 standards but also to significantly weaken emission standards for outdoor and indoor wood boilers. 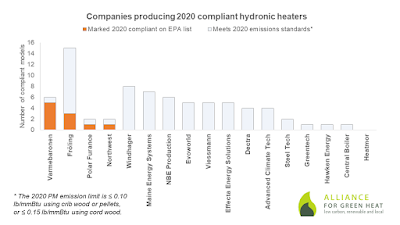 How to read this chart (click to enlarge): This chart shows the number of 2020 compliant models produced by hydronic heater manufacturers. 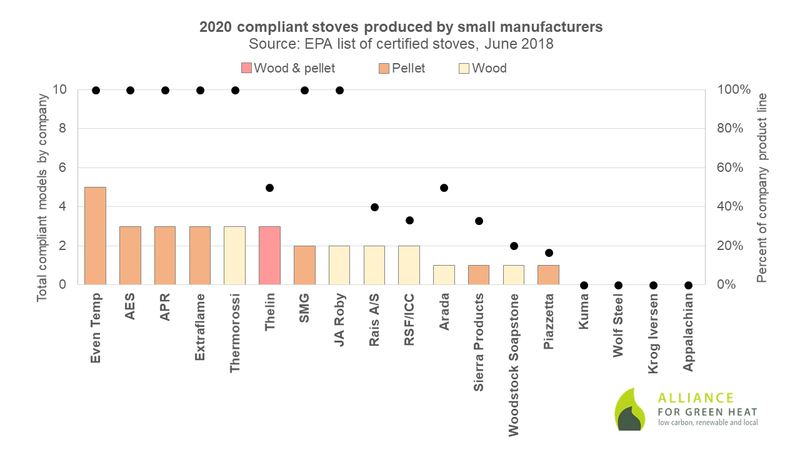 It includes both the number of 2020 compliant models listed on the EPA list and the number of models that emit under 0.10 lb/mmBtu (crib wood or pellets) or under 0.15 lb/mmBtu (cord wood) but need to be retested before they are 2020 compliant. This chart only includes boiler manufacturers that produce at least three certified models on the most recent EPA list.